The Morgan Lewis Windmill in St. Andrew is regarded as the last operated sugar mill on the island, ceasing its operations in 1947. 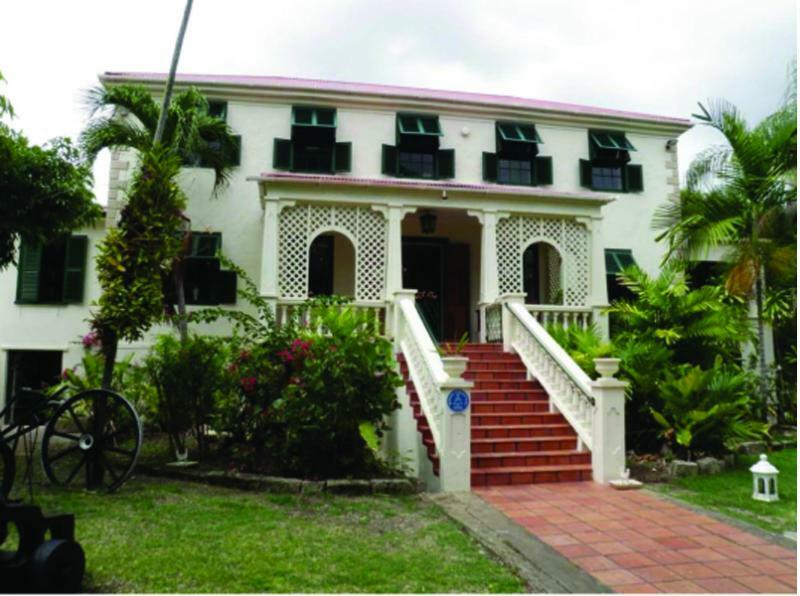 The windmill is maintained by the Barbados National Trust, and is open for public visits. Land Area: 166.4 sq. mi. Like most of the islands, Barbados was long occupied by indigenous populations before Europeans arrived in the Caribbean region in the 15th and 16th centuries. Its small size and its relatively isolated southeastern location in the Lesser Antillean chain likely caused it to be overlooked for a long time by early migrants arriving from further south. It is also likely that the pattern of trade winds and ocean currents hampered the efforts of the earliest settlers to reach the island via their seafaring canoes. As a result, Barbados was one of the last islands within the Lesser Antilles to have seen an indigenous presence. South American peoples nonetheless settled Barbados about 2,000 years ago, either directly from the continent’s Orinoco region, or indirectly, via Trinidad. Archaeologists have pinpointed the dates of the first colonizers between A.D. 350 and A.D. 650. These people were horticulturalists and village-dwellers whose exploitation of the natural environment was the first to alter the balance of the island's native ecosystems. Three distinct phases of Amerindian settlement can be defined in Barbados based on stylistic elements of ceramics and stone tools. There are no pre-ceramic or aceramic phases in Barbados, as even the earliest settlers made and used pottery. The name given to the cultural complex of the earliest inhabitants is Barrancoid Saladoid (A.D. 350 to A.D. 650), followed by the Troumassoid (A.D. 650 to c. A.D. 1100), and later by the Suazoid complex (A.D. 1100 to the late 15th century). We do not know at present how the indigeneous occupation of Barbados came to an end. It seems certain that by the time of European (British) colonization in 1627, the island was already devoid of its native inhabitants, and that no European ever saw the latest groups, i.e., the bearers of the Suazoid complex. As such, there is no ‘contact’ history in Barbados as is the case for many other Caribbean islands, and no historic writings exist of Barbados’s indigenous populations. We can only speculate, until new archaeological evidence emerges, that Amerindians had migrated off the island for any number of reasons—as a result of depleted ecosystems, for example. Nonetheless, the circumstance of voluntary emigration is quite tenable given the constant ebb and flow of people moving throughout the region in pre-colonial times. A number of archaeological sites attest to the Amerindian presence in Barbados and to a long history of archaeologists at work since the 1930s. Most notable sites are: Chancery Lane, Silver Sands, Heywoods, and Hillcrest. 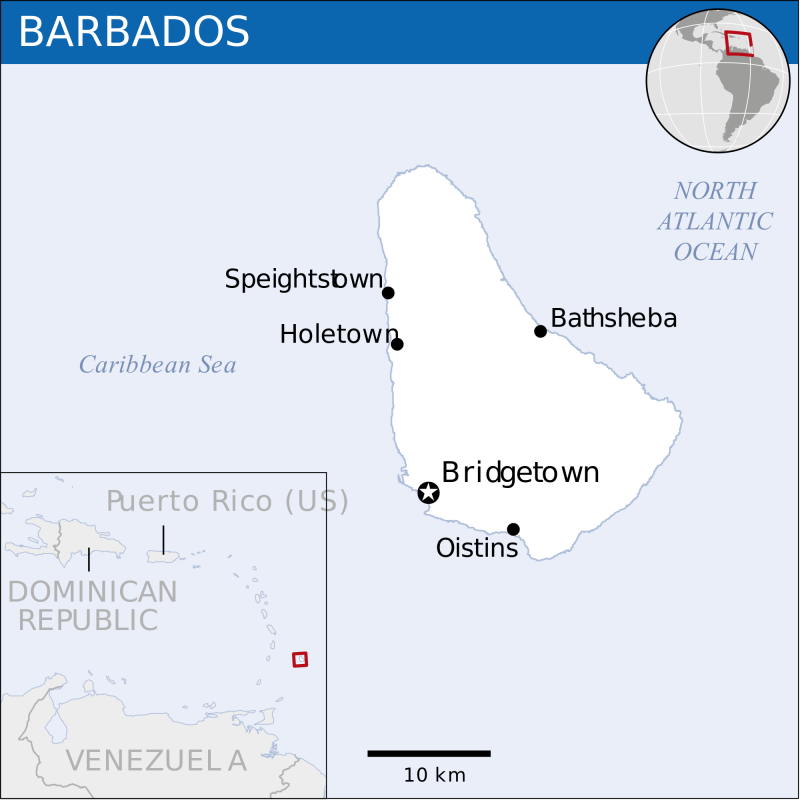 Perhaps the earliest historic reference to Barbados is from the Spanish, who referred to the island as ‘Isla de los Barbados,’ but despite early sightings and landings by the Portuguese, Barbados remained uncolonized until the British arrived in 1635 and founded the settlement of Jamestown (modern Holetown) in 1627. The British remained the only colonizers throughout the plantation era. Here again, Barbados’s easterly isolation in the Atlantic Ocean likely protected it from the conflicts of ownership between the French and the British. 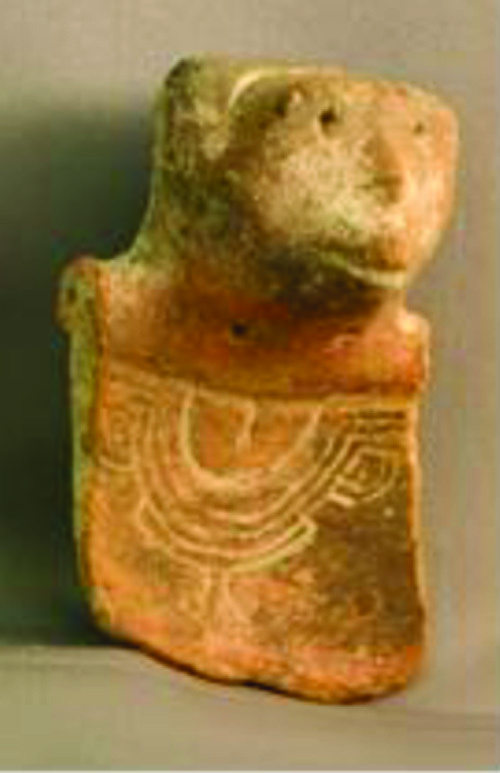 Monkey vessel fragment with incised motif, Chancery Lane, Barbados, 3 1/2 in. x 2 in. Florida Museum of Natural History, Gainesville, Florida. Photograph by Lawrence Waldron 2011. The attractions listed below are a great way to learn more about the history, culture, and heritage of Barbados. An increased awareness of culture and heritage has provided many new outlets of expression for local artists in the recent past. The development of support systems sponsored by government and private entities has led to new markets related to heritage. The potential of some artistic fields, such as film, to serve the heritage industry, is only now beginning to be realized in Barbados. The governement of Barbados recognises several festivals and events throughout the calender year. Many are highly anticipated and generate significant local revenue for small and large businesses. These events also contribute to increased tourism and international exposure for the nation. Cropover remains the largest annual event and is celebrated from the month of June to the first week in August. The colors of Crop Over bring specators and revellers from all over the world. Kadooment day is the highlight of the festival. This annual event is held on the first monday of August. Here is a shot taken from a vantage point along the route of some revellers 'jumping in a band' on Kadooment Day. Barbados has several course offerings which can help you to establish a career in Heritage. See the link below for each opportunity.